#RogerFederer seems to be making good use of the time off-court during the ongoing clay-court season, which he has chosen to skip for the second successive year. The 20-time #GrandSlam champion had visited #Zambia, the landlocked country in Southern #Africa, last week to have a first-hand look at programmes supported by his self-named foundation — Roger Federer Foundation (#RFF). 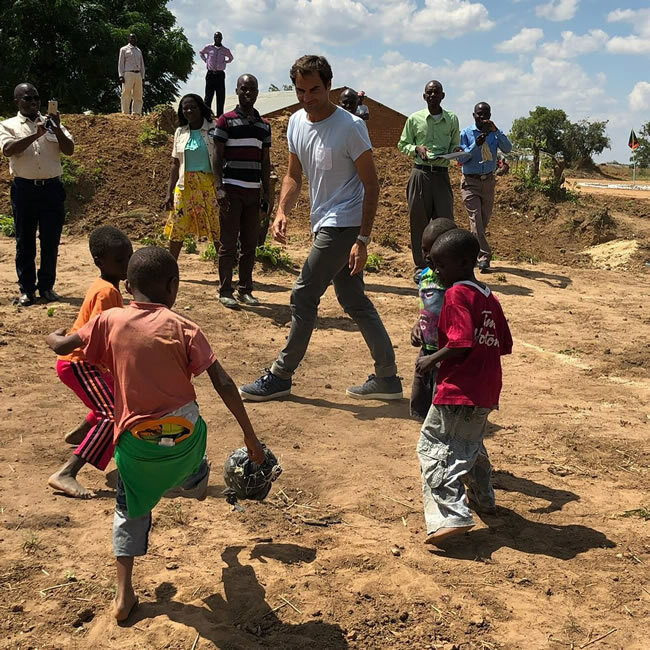 The reigning #AusOpen champion spent three days in the African country, meeting with children, many of whom did not even know who he was, in the rural parts of the Eastern Province of Zambia. Notably, his foundation has contributed more than $5m in education programs in the country, according to RFF.